A Saudi delegation arrived in Turkey to conduct meetings with Turkish officials regarding the ongoing investigation of Saudi journalist Jamal Khashoggi’s disappearance, reported Turkish officials on Friday, October 12, 2018. According to AFP, a Turkish diplomatic source stated that the delegation arrived in Ankara, while the official Turkish news agency, Anatolia, stated that the meeting with Turkish officials will be taking place over the weekend. On Thursday, October 11, 2018, the Turkish presidential spokesperson, İbrahim Kalın, affirmed that a joint committee has been formed to closely follow up on the investigation. Jamal Ahmad Khashoggi is a 59-year-old Saudi journalist and activist. He is a columnist at Washington Post. 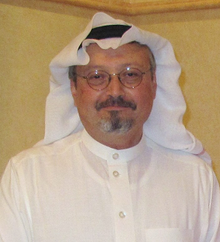 Known for criticizing the Saudi government and its policy, Khashoggi fled the Kingdom in 2017 and relocated in the United States for fear of arrest. In the past, Khashoggi served as a Saudi government adviser, Al-Arab News Channel’s editor-in-chief as well as Al Watan newspaper’s editor. As reported, Khashoggi went missing on October 2, 2018. He was last seen by his fiancé, Khadija Genghis, before he entered the Saudi consulate in Istanbul in order to prepare legal documents for their marriage (on the same date: October 2, 2018). Since his disappearance, many speculations were issued from various sources, including a Turkish government source who affirmed that Khashoggi was killed inside the consulate 6 October, 2018. The same source stated “Based on preliminary investigations, the police believe that Khashoggi was killed by a team sent specifically to Istanbul and left on the same day." While the Consulate refutes the allegations, describing them as "baseless", a joint Turkish-Saudi investigation is still undergoing.